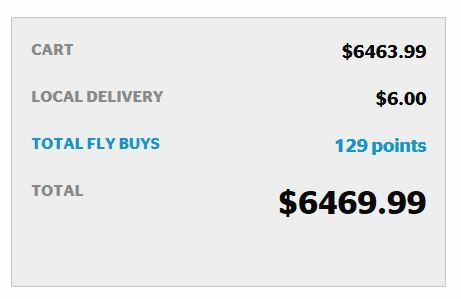 With no apparent warning, the Fly Buys earn rate at Noel Leeming has dropped to 1 point per $50 spent. This is half the previous earn rate. While Noel Leeming will now record your cumulative spend over 12 months so you don’t miss out points for smaller purchases, you were most likely picking up points for these already based on the previous earn rate of 1 point per $25 spent. All things being equal, you’ll get better points value from spend with Harvey Norman. We have updated our earn guide to reflect this change. Easy – just show your physical or app-based Fly Buys card in-store, or enter your membership number online when you check out. 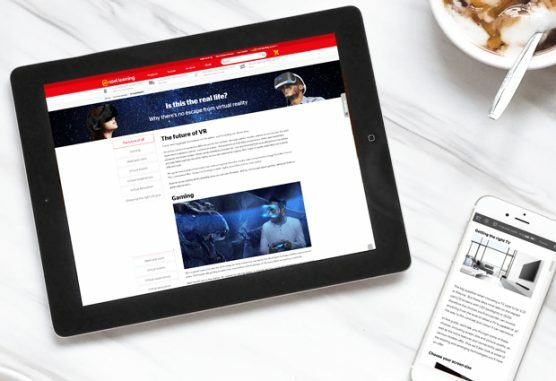 Online, the number of Fly Buys points you will earn when purchasing an individual item will be displayed next to the product listing, or on that item’s product page. 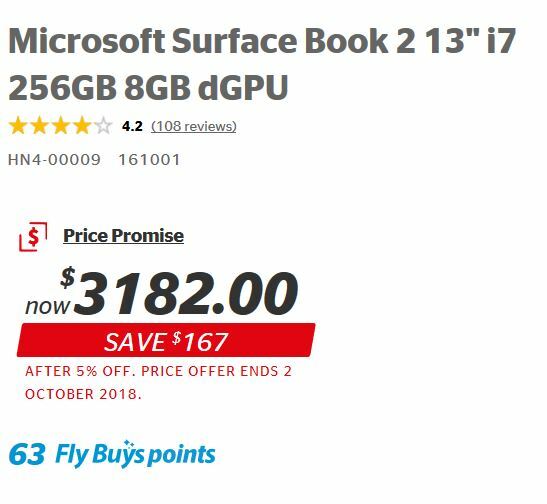 A Microsoft Surface Book purchase could see you earn 63 Fly Buys points. That’s about $10.50 NZD in value where put towards a flight redemption. To see the total number of points you’ll earn based on all items you plan to purchase, you’ll first need to click ‘buy’ to add the item(s) to your shopping cart, and then go to the shopping cart itself. Given you can ‘click & collect’ for free, I would personally use this as a way to be sure of how many points I will earn on my purchase before heading to the store. You can earn 1 Fly Buys point (cumulatively) for every $50 spent at Noel Leeming, either in-store or online. Noel Leeming promise to match any NZ retailer competitor price. This is a good way of being able to make sure you still get a good deal, and earn Fly Buys at the same time. To understand how their price promise works, you should read through the full terms & conditions. They match online too, through their Live Chat functionality, which is a pretty cool feature. This is not available to use at all times however, e.g. they are offline on weekends. We’ve confirmed with Noel Leeming that if a Fly Buys points promotion is running, you will be eligible for bonus points and their price promise guarantee. Forget your card? No stress – you can get Fly Buys added to your account retrospectively. To do this, send an email to Noel Leeming with your invoice number and Fly Buys number, or contact their Customer Support team on 0800 44 44 88. As these points are added manually, they take approximately 4-6 weeks to find their way into your account. How does this compare to earning Airpoints Dollars with Harvey Norman? Noel Leeming and Harvey Norman are two of New Zealand’s largest electronics retailers, and they both offer an ability to earn points on spend. You can earn 1 Airpoints Dollar for every $200 you spend at Harvey Norman. The standard Fly Buys earn rate at Noel Leeming pales in comparison. Fly Buys points have a value of ~16.6 cents each when used towards a helloworld flight redemption, which works out to be a much lower 0.33% return on your spend. Thus, all things being equal, you’ll get better points value from spend with Harvey Norman. Though the occasional bonus point promotion could tilt the favour in the opposite direction. Noel Leeming accept all major credit cards (Visa, Mastercard, Amex, Diners) with no transaction fees, which provides a good opportunity to double dip and earn frequent flyer points through card spend too. 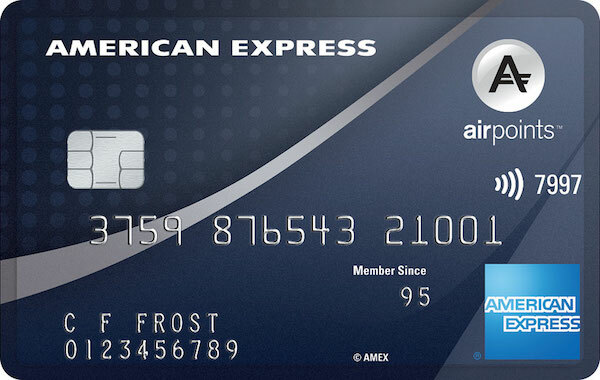 That way, you’ll earn 3 Membership Rewards points per $1 spent on your planned purchases – the equivalent of 1.5 points per $1 with programs like Qantas, KrisFlyer, and Asia Miles. Unfortunately, you cannot use gift cards online, so you’ll need to physically go in-store. The extra time and effort may only be worth it for more expensive purchases. 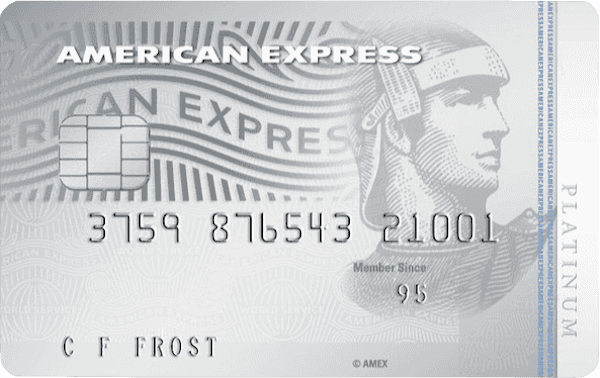 You can read more about using gift cards to maximum points earn here. It’s disappointing to see the earn rate on purchases with Noel Leeming drop, particularly without any advance warning. Still, the option to earn Fly Buys points remains available – watch for the occasional bonus point promotion and try and plan any high value purchases around these.